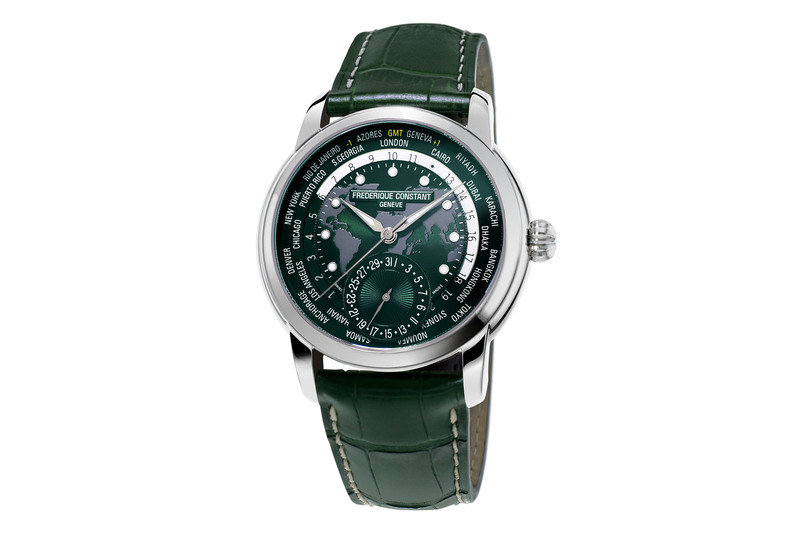 The same great Worldtimer for the same great price, now with a new green colour scheme. For many of us these days, regular international travel seems to have become a common occurrence. Whether for pleasure, or more likely, for business, the challenges of managing multiple time-zone changes are very much a reality. Not only is it tough on your body and soul (anyone who is reading this from their hotel room at 3am will know what I mean), it can also be a pain making sure your watch is set to the right time. 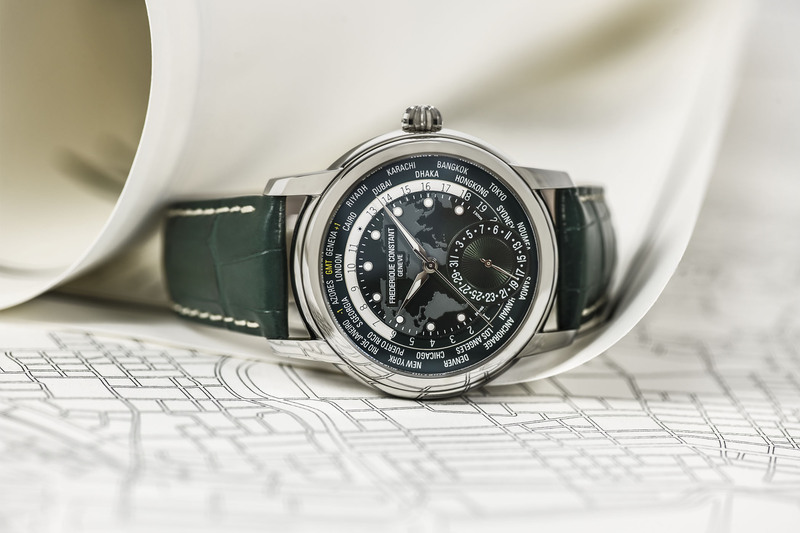 Sure, you can just rely on your smartphone (boring), or you can invest in a handsome, yet affordable worldtimer, such as the soon to be released Frederique Constant Classic Worldtimer Manufacture Green Dial. 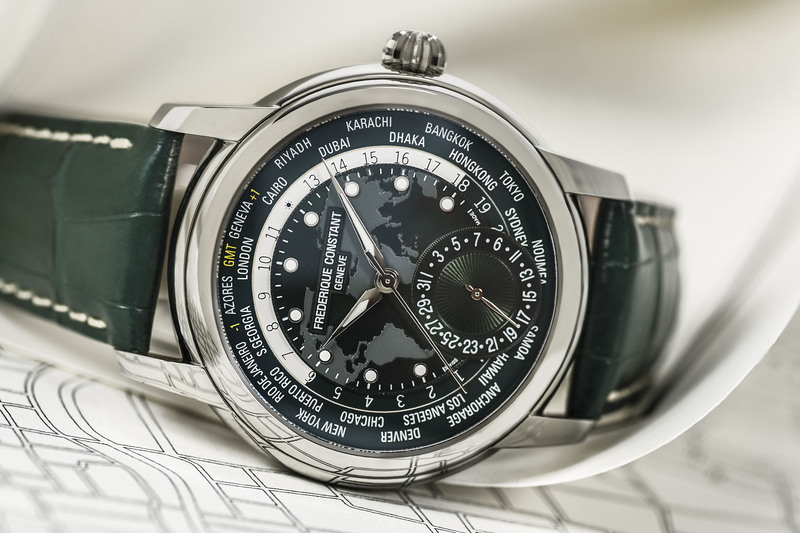 The new green dial Worldtimer is the first official Baselworld novelty that has been unveiled by Frederique Constant for 2018. 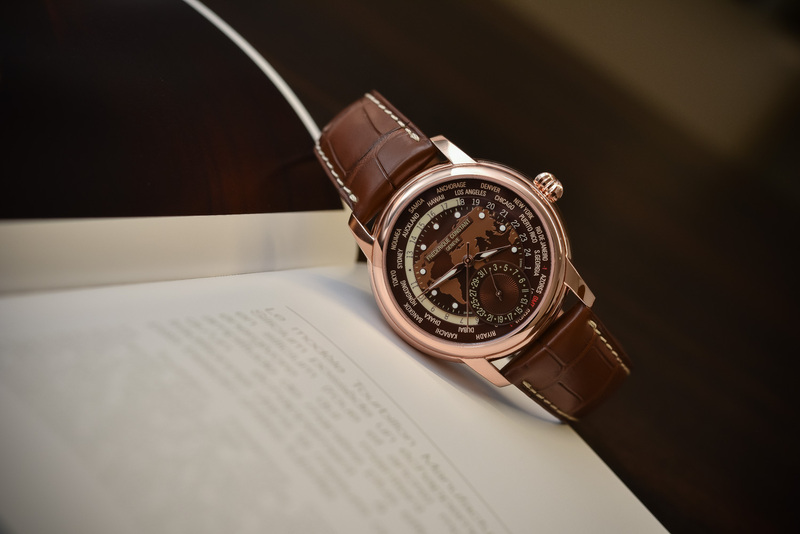 Last year, they introduced a nice looking brown dial model with a rose gold-plated steel case, which I got hands-on with here. This year’s version is arguably more understated, although only just (it really helps if you like the colour green). Presented in the same 42mm stainless steel case, it features a green pattern on the dial, matched with a green alligator leather strap with contrast white stitching. 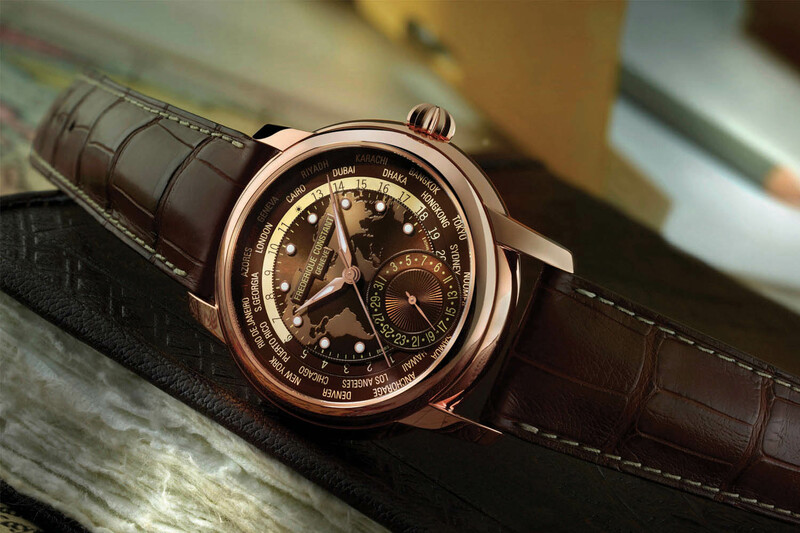 Like most of the models that have preceded it, this version features a design of the world map finely etched onto the dial and the twenty-four cities on an outer disc. A second, inner disc displays the 24h day-night indication, so that you can easily read the time in any of the 24 cities at a glance. It’s a design you will be more than familiar with and one that we know works well. Home time is indicated centrally, while the date is shown on a sub-dial at six o’clock. Inside is the Calibre FC-718, an in-house designed and manufactured automatic movement that beats at 4Hz and offers a 42-hour power reserve. Comprised of 139 parts, this well-designed movement allows for all functions (including the worldtimer) to be set via the single crown. There are no additional push buttons, you simply choose between three crown settings; one for winding, one for setting the date and city and the final one for setting the time. 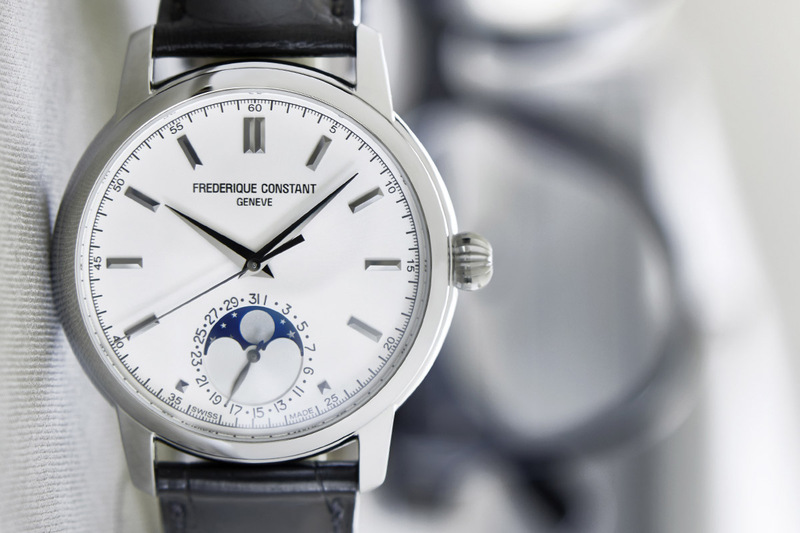 With that kind of reliable simplicity, it’s no surprise that this model continues to be a winner for Frederique Constant. 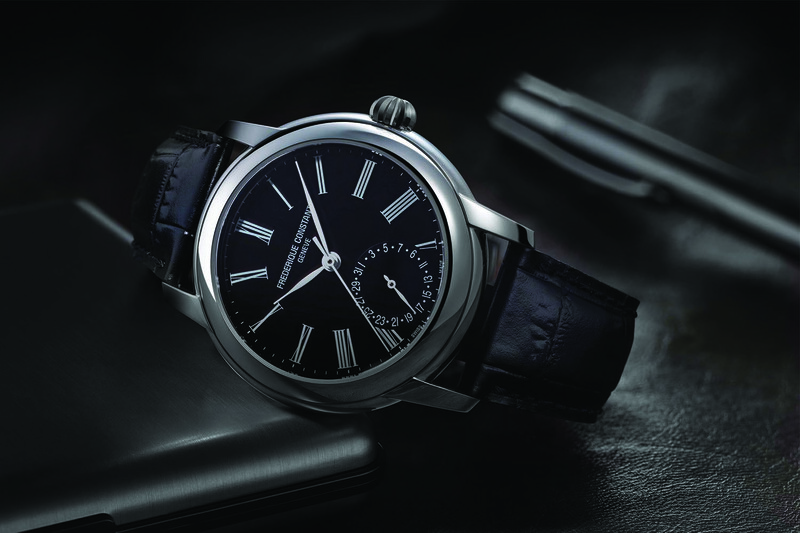 Due to be officially unveiled at Baselworld 2018 in a couple of months, the new Frederique Constant Classic Worldtimer Manufacture Green Dial will be comparatively priced to its siblings, coming in at just EUR 3,550. 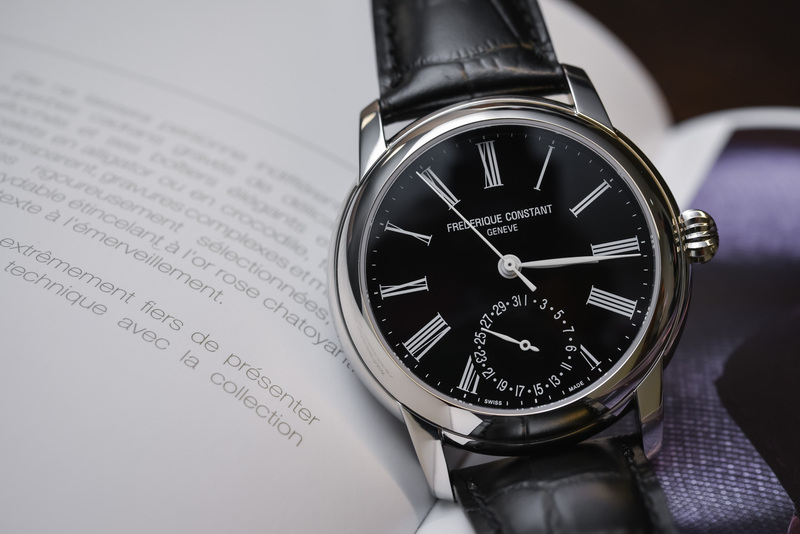 More details on frederiqueconstant.com. Case: 42mm diameter – polished stainless steel – sapphire crystal on both sides – 50m water resistant. Movement: Calibre FC-718 – In-house designed and manufactured – automatic – 42H power reserve – 4Hz frequency – hours, minutes, seconds, date, world-time. 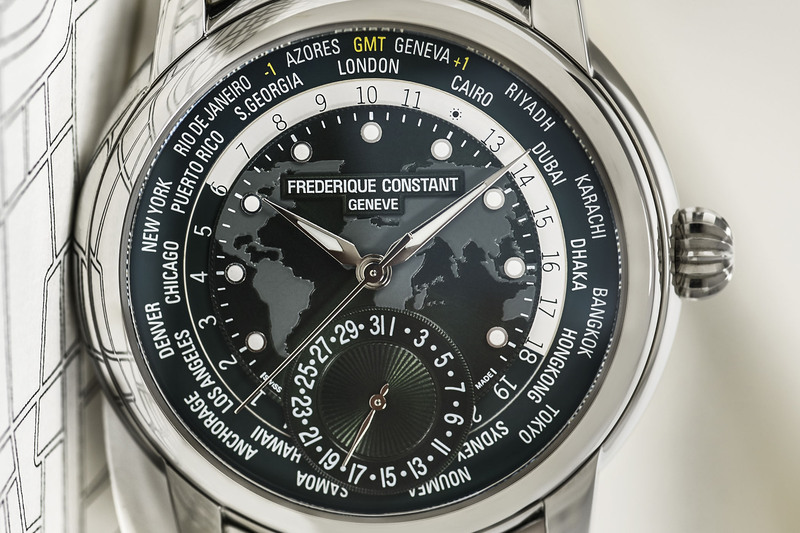 Dial: Green dial with world-map pattern, polished steel hands, applied indices, luminous coating.